There is enough capacity to build more than a million homes, in a total area a similar size to Birmingham, on brownfield land. While that may sound a lot, this number would deliver just over three years’ worth of the housing the government aims to build out at a rate of 300,000 new homes a year by the middle of the next decade. However, the brownfield registers councils were required to produce late last year reveal a total of 1,056,555 homes are planned to be built on 27,417 hectares of land by councils in England. A proportion of them can be delivered within five years, offering opportunities for the housing market in a number of areas, especially on smaller sites. Exclusive LGC research of the data in all publicly available brownfield registers showed that 30 councils, mostly in urban areas, make up almost half the number of homes planned – almost 459,000, and about two-thirds (65%) are deemed to be deliverable within the next five years. Of the top 30 council areas, 51% of the homes intended for brownfield land are on sites delivering between 10 and 199 homes, while 40% of the developments are on sites for fewer than nine homes. Sites of 200 homes or more made up the remaining 9%. One in 10 sites in the top 30 is publicly owned. Hart DC joint chief executive Daryl Phillips, the District Councils’ Network lead spokesman for planning, told LGC the smaller sites contained the biggest potential but warned that councils need to do more to make sure small and medium-sized builders know those sites exist. A government impact assessment from 2015 found that data on brownfield land would “be likely to improve information available to developers and improve their business decisions”. The assessment found the most recent data, dating from the 2010 national land use database, was “out of date and of poor quality”. However, LGC understands some councils only reported the true figures for the bigger sites in their brownfield land registers, so either left out many smaller sites or estimated the number of homes they could potentially hold. Ms Gill called on the government to introduce “fiscal incentives by way of further VAT and tax incentives” as a way of helping to “stimulate new start-ups as well as growth of SME sector”. Some of the principle barriers to developers accessing brownfield land are identified in part one of the register. 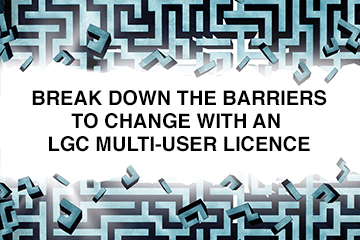 However, most of the barriers are only identified in part two, which councils are not legally required to complete. In part one, councils are asked to report the details of each site, including the size, number of homes it can provide, and the ownership of the land. Other details include locations, planning permission status and whether it is deemed ‘deliverable’ - whether homes can be built within five years. Councils were required by law to publish that part by 31 December, but LGC found that 14 councils had not published a report publicly by the middle of February. One of those was Epping Forest DC which cited an “unfortunate delay” to the publication of its brownfield land register. A spokesperson for the council told LGC this was “due to the council concentrating its resources on compiling and publishing a local plan ready for -submission by the end of March 2018”. In November, the then Department for Communities & Local Government warned it would consider sanctions against councils that did not publish registers. Part two of the brownfield register should comprise a list of the sites contained in part one that the council has decided would be suitable for granting permission in principle for housing. Without this clearly marked, some developers could be put off. But from June this year an amendment to the Town & Country Planning Act 1990 will come into force which will allow applicants to apply for permission in principle on the sites identified in brownfield land registers from the council. Mike Kiely, chair of the Planning Officers Society, said permission in principle had come about because SME housebuilders had complained that planning permission was “too complicated and expensive”. Professor Mohammed Arif, who is head of architecture and built environment and professor of sustainability and construction futures at the University of Wolverhampton, told LGC councils should see their brownfield registers as an “opportunity, not a liability”. Perhaps it is not surprising that overall London reported the largest number of total new homes planned as a region – its boroughs’ brownfield registers make up 29% of the total of homes planned across the country – while the data shows it is also the most dense region for new housing. The East of England has the most brownfield land to build on, but the data in the registers of the region’s councils made it the second least dense after the north-east. Housing minister Dominic Raab has blamed councils for the government missing its target of replacing every council house sold through the right-to-buy. The government’s chief planner and a team of experts are to be sent into three councils as part of an intervention over their lack of a local plan. The chief executive of Homes England has acknowledged issues with brownfield land registers and warned of a crisis in the construction industry. Haringey’s HDV regeneration plans have been blighted by opposition campaigns and bitter disagreements. LGC’s sister title Construction News examines the factors behind the controversy and the consequences for projects across the UK. Havering LBC has agreed a £1bn contract with a contractor to redevelop 12 council estates across the borough, LGC’s sister title Construction News reports. As Sir Oliver Letwin undertakes his review into the barriers to housebuilding there has inevitably been a huge amount of noise around planning issues as various parties try to influence his thinking. As one of the fastest-growing cities in the UK, Leeds has an economy worth £18bn which has grown at a rate of almost 40% in the past decade. The Homelessness Reduction Act comes into effect on 1 April and with it comes the biggest changes to homeless legislation for years.